29 October 2017 The winner of the Conrad Award is… Anna Cieplak! 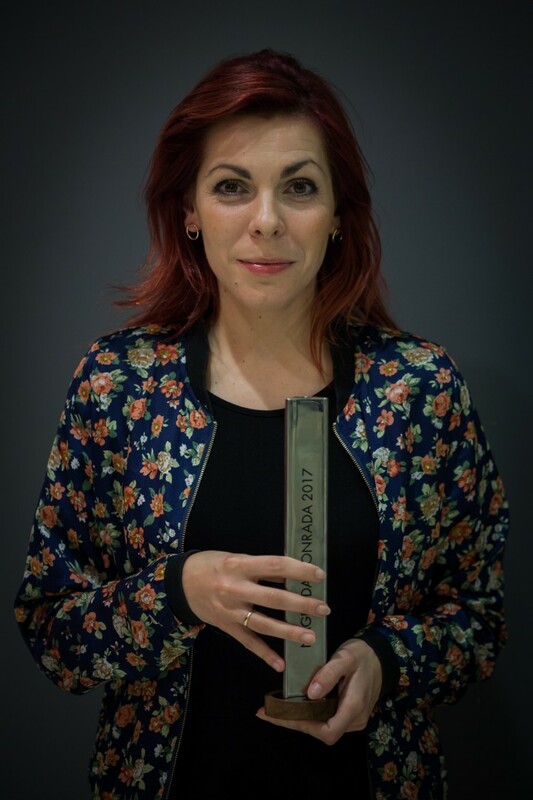 Anna Cieplak, the author of the novel Ma być czysto (Krytyka Polityczna publishing house), is this year’s winner of the Conrad Award for the best literary debut of the year 2016. The winning book was chosen by the readers, who could vote for one of debut nominees until midnight of 28 October. 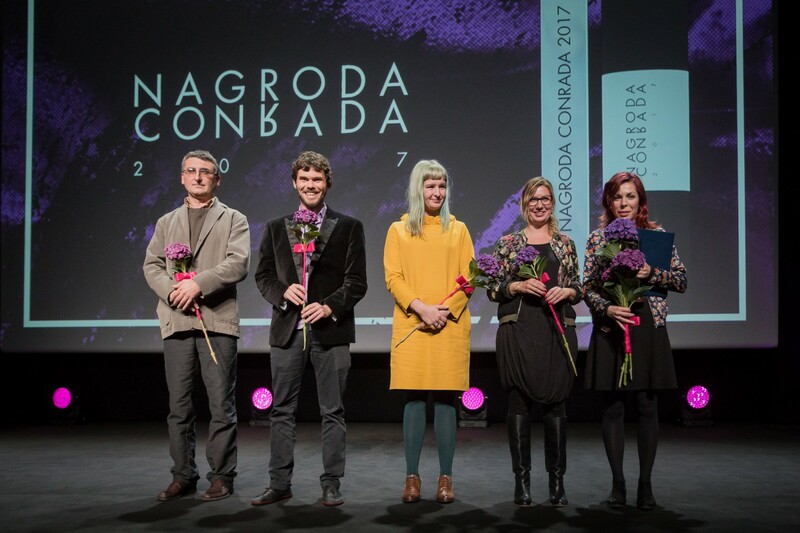 The five nominees were selected by the Jury chaired by Professor Michał Paweł Markowski. 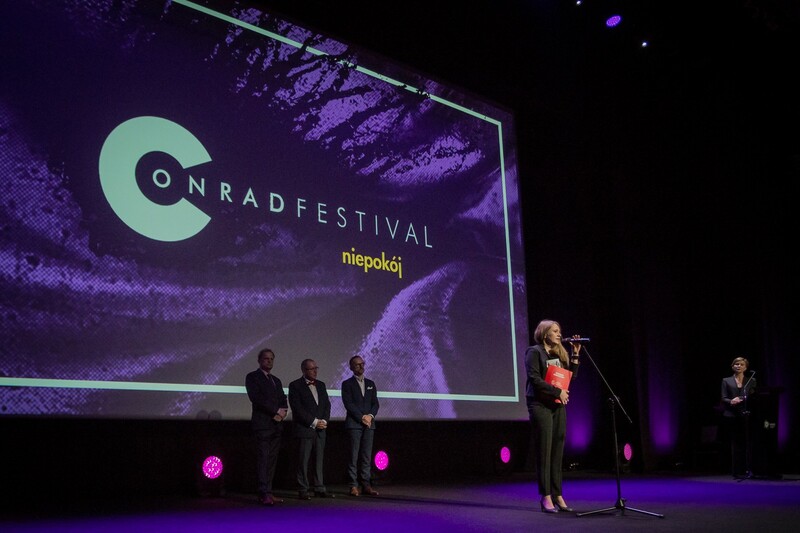 The award was handed out at the Gala traditionally held on the last day of the Conrad Festival in the ICE Krakow Congress Centre. ”The measure of success of a story is consistency of the world in which the story is set with the world in which it is understood” – said Professor Michał Paweł Markowski, the Chairman of the Jury of the Conrad Award in the laudation. - “The more the world in which the plot develops is obvious, the fewer problems the narrator has with explaining where he or she stands. The author let the characters speak but fully controls their words, describes the world that he or she sees because that world fully deserves to be described. The narrator trusts reality and trusts his/her language, but first of all trusts his/her insights and this triple trust (in the world, the language and in himself/herself) is the foundation of a well-cut story, which all of us can like and find refuge in when the weather is bad” – adds Markowski. 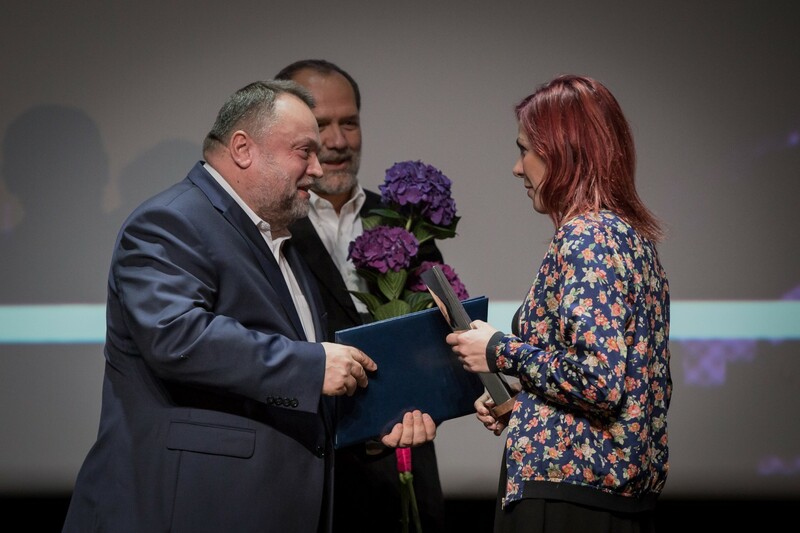 The award-winning author received a statuette and the Money award of PLN 30,000, as well as an offer of residency programme in Krakow and the promotion at next year’s Conrad Festival and in “Tygodnik Powszechny”. Anna Cieplak – born in 1988 , culture animator, urban activist and author of the book Zaufanie – works with children and youth on a daily basis (since 2009 at the Krytyka Polityczna Day-Care House “Na Granicy” in Cieszyn). In 2014 she received the award of the Minister of Kultura and National Heritage for her cultural activity. She was the holder of the scholarship under the Civic Activity programme” (2015). ”I’m very happy that the Jury chose my book. However, I must admit that I feel unrest, though I’m a rather well-contented person. The motto of this Festival is really important for me. I think unrest is justified, seeing how much has changed throughout the year. The change is disturbing but I believe the change will be for better only” – said Anna Cieplak on the stage. Ma być czysto is a haunting book, talking about Poland we hardly even know. About the dirt of a provincial life where a one nasty gossip may decide about your “to be or not to be”. About grown-ups who are more helpless than the children. And about children who must carry the burden of grown-up responsibility. As if life were not sufficiently difficult, a tired guardian, the great Polish state watches over the fate of all of them. Kinga Dunin commented the novel in the following words: ”An expedition into the mysterious world of «gimbaza». No nonsense, no embellishment, very true, wise and full of understanding to the age of the hormone attack. And not very nice girls. It’s not an Anne of Green Gables!”. The patron of the Award is Joseph Conrad, one of the greatest modern writers, who began his international career as a writer after leaving Krakow. 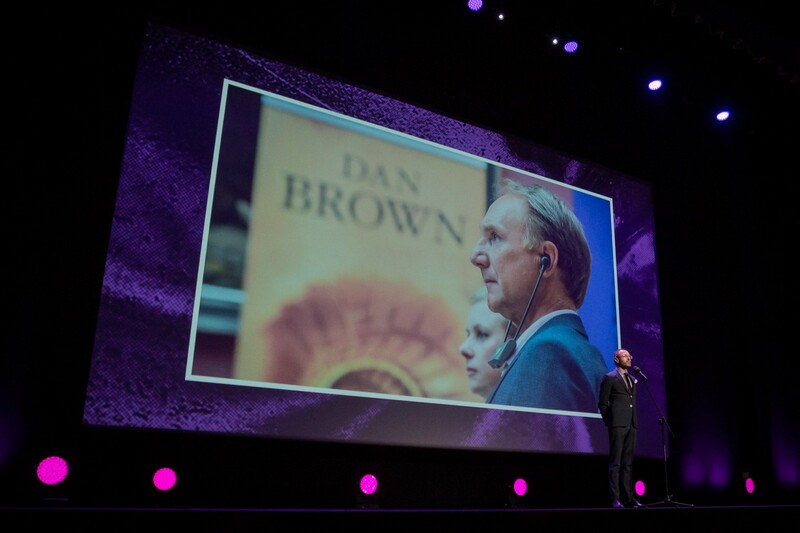 The founder and the organiser of the prestigious award is the City of Krakow. 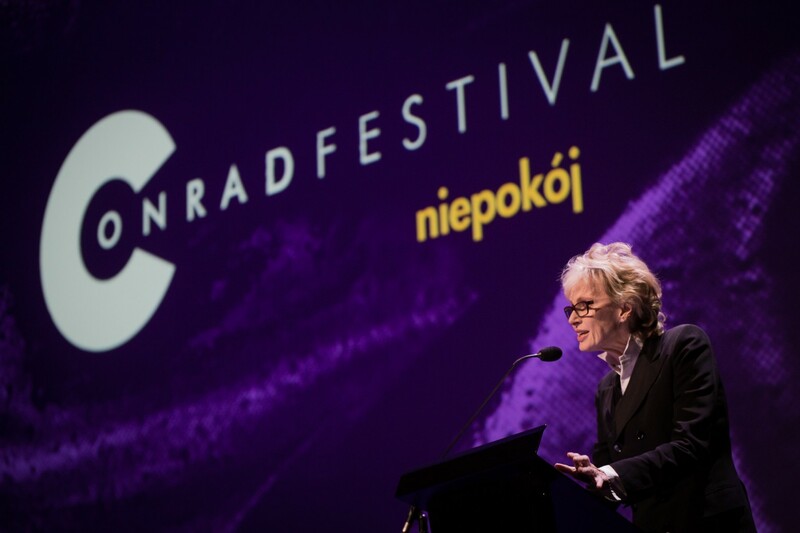 Its partners are the Book Institute, the Tygodnik Powszechny Foundation and the Krakow Festival Office. The award supports not only beginner writers but also publishers who are encouraged to take a publishing risk.